Third-year Jersey Surf member Michael Surkin submitted this photo and caption. I live in Philadelphia were we just had 14 inches of snow dropped on us. 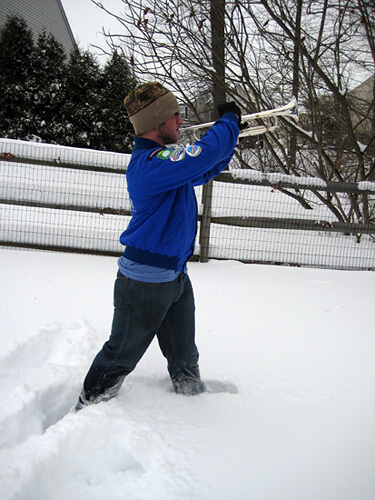 As a diehard drum corps fan, raised by two diehard drum corps fans, I decided that it would be fun to go have a good time in the snow. I can't wait for the season to start so I can march on a dry field in the sun, but the snow will have to do for now!